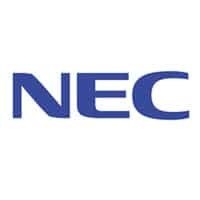 NEC has launched a turnkey prepaid payments service that includes cloud-based system servers, cards, smartphone apps and payment terminals and is available in both Japan and internationally. The Integrated Electronic Money Solution provides customers with servers to manage prepaid transactions, balances and user accounts; media including cards and mobile phone apps; payment terminals that work with contactless cards and NFC phones, and support for customer relationship management (CRM) functions. Customers, typically retailers and other merchants, can select the features they require from a menu of services. The PVR cinema chain in India is the first organisation to use the new platform’s NFC capabilities. Universal Studios Japan is also installing the technology, but will not be including NFC functionality at this stage. The company’s end-to-end solution enables retailers “to quickly and easily expand their e-commerce business,” says Nobuhiro Ide, assistant general manager at NEC.